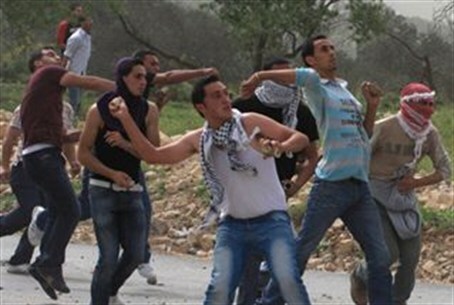 One PA Arab was seriously wounded in the weekly leftist-inspired protest in Nabi Saleh. He was taken for treatment at an Israeli hospital. A Palestinian Authority Arab demonstrator was seriously wounded on Friday afternoon in clashes with security forces in the village of Nabi Saleh in southern Samaria (Shomron). Nabi Saleh, is a regular hotspot where Arabs, radical leftists and anarchists engage the IDF and Border Police in clashes every Friday, for the purpose of disseminating propaganda footage to the world. Much violence occurs there regularly and is initiated by the demonstrators, who injure soldiers who attempt to use non-violent means such as water and tear gas to disperse them. One leftist activist, Jonathan Pollack, blamed the police and the military for Friday’s incident in a conversation with Channel 2 News.